To celebrate our 22nd anniversary, we are proud to present ZWEIUNDZWANZIG (“22” in German) – an epic name for an epic brew! 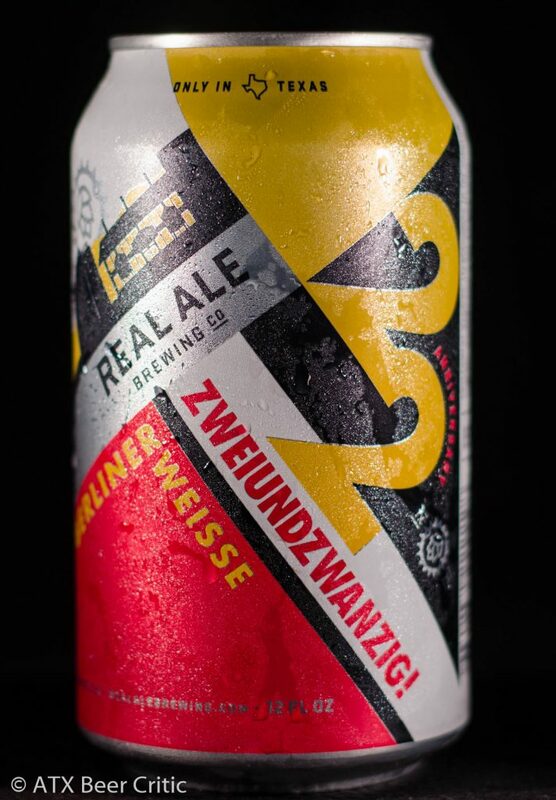 With Zweiundzwanzig Berliner-Style Weisse, an old-school German beer style meets our new-school German brewhouse. The cooling loop in the brewhouse makes kettle souring highly predictable, which was key to our success with this historic style. We added Lactobacillus culture to cooled wort and allowed it to ferment for 36 hours, producing lactic acid and the soft acidity that really elevates this beer. Once acidified, we boiled the wort, cooled it again, and sent it to a fermenter to be finished by our house ale yeast. The result of this time-consuming process is a summer slammer that is refreshingly tart, with the flavor and aroma of sweet lemon. Zweiundzwanzig is delicious on its own or can be combined with traditional fruit syrups for even more tasty adventures – Prost! A lemon and citrus character hits first at a low-medium intensity. This is met by a low-moderate doughy wheat character and very slight graininess. A low level or red apple ester is present. No noticeable hop character or flaws. As it warms, the lemon, lactic acid character becomes even more pronounced. Pours as a vibrant straw color liquid. High carbonation that seems to quickly dissipate. A stark white head made of small and medium bubbles collapses rather quickly to a thin layer. Not much is roused by shaking the glass. A noticeable haze obscures the glass. Lactic acid is the first flavor to hit the tongue. A moderate lemon almost yogurt note is followed by a more delicate malt character. There is a slight wheaty-dough malt flavor peaks out afterwards. Some acidity hits towards the end of the taste, but it isn’t overpowering. The finish approaches delicately, with the flavors quickly dissipating. The acidity dries the mouth, without much flavor remaining. Very low bitterness. Flavor is balanced towards malt and acidity. Medium-high carbonation. Mouthfeel is a well rounded medium level, throughout the whole taste. A very slight slickness on the rear of the mouth. No noticeable astringency. A refreshing berliner. There is a nice wheat character, and lactic acidity to this. I would like to see a little more complexity though. The yeast character is a bit subdued, and there isn’t much pilsner malt present. A bit more complexity in both areas, would help elevate this beer. While this is a tasty Berliner, it doesn’t quite live up to the other sours that Real Ale puts out. 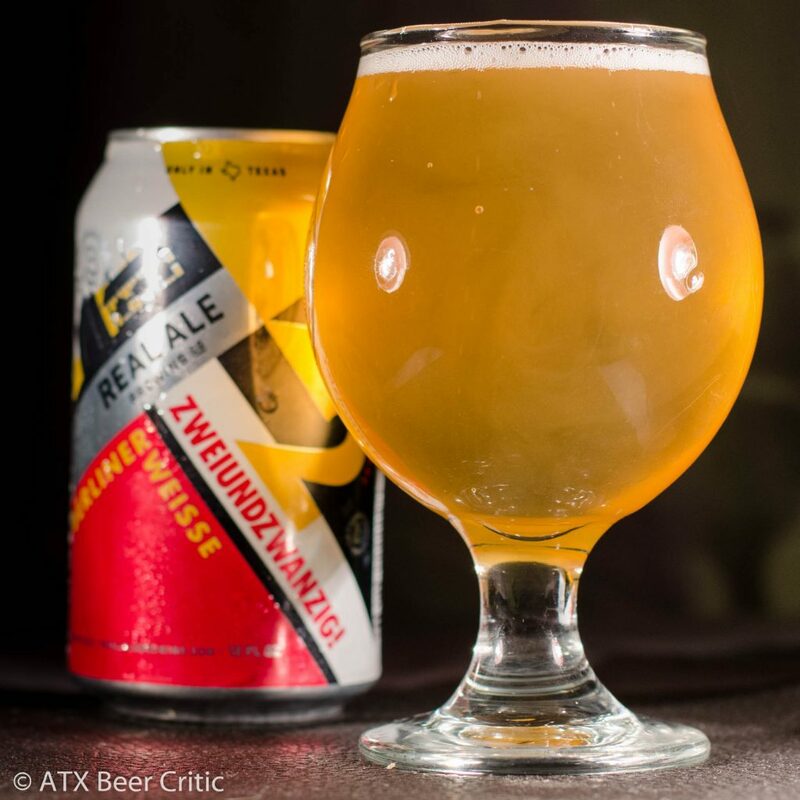 I wouldn’t quite blame it on kettle souring though, as Live Oak and Austin Beer Works examples, both show a bit more complexity. If there’s still some cans hanging around your local beer slinger, it’s definitely worth trying as summer dies down.